In a country where 50% of the population does not have electricity, mobile brings a silent revolution to Bangladesh. Kaymun Amin is CEO and Founder of VuMobile and here explores the massive potential of the Bangladeshi mobile market. Bangladesh is home to 160 million people with over 70% of the population living in rural areas on $2 per day or less. The country is the ninth-largest market worldwide in terms of mobile subscribers in Q1 2013 with 70 million ‘unique’ subscribers (i.e. people) actively using 112 million mobile connections (i.e. SIM cards) (source: GSMA). Market penetration based on unique subscribers stands at just 40%, compared to 72% in Russia and 56% in Brazil. This shows tremendous room for growth, and explains why the country ranked 46th worldwide in terms of annual connections growth in Q1 2013. Bangladesh reached 100 million mobile subscribers per the statistics provided by BTRC (Bangladesh telecommunication regulatory commission) however, the active unique subscriber base is roughly 70 million. In urban areas, mobile penetration has reached almost 100% and the continued growth is coming from semi-urban and rural areas, driven by cheap handsets, cheap connections and one of the lowest voice call charges in the world. Mobile has brought about a silent revolution in a country where 50% still do not have access to electricity. Competition is intense in a price sensitive market where ARPU is one of the lowest in the world and operators are finding it more and more difficult to churn out profit. Mobile VAS excluding P2P messaging contributes to only 3% of the mobile operator’s revenue. This figure is expected to grow to approximately 10% within the next two years as operators struggle to grow the revenue from traditional services of voice calls and SMS. Mobile value added services will be the key driver of operator revenue growth going forward. Only 25% of the mobile subscriber base has ever used a value added service. The opportunity obviously has its challenges as well. Low mobile internet penetration, very low ARPU and fragmented entry level handset market dominate by Chinese handsets are some of the key obstacles. However, the market offers scale for both D2C and B2B mobile VAS companies. Mobile operators in general are open to new partnership opportunities where the partner offers innovative services at pro-operator terms. 97% of the market is prepaid and the average ARPU is only USD1.2/month! Call rates can be as low as 0.06 US cents/minute and a daily internet pack costing just USD.10 cents! Minimum top-up load amount is just US 12cents. Bangladesh is one of the few countries in Asia where 3G has yet to be launched. Over the past decade, all mobile operators have been providing mobile internet services via GPRS/EDGE networks. The regulator is expected to auction 3G/LTE spectrum in September this year ushering in a new era of mobile internet services. Bangladesh has only 6% internet penetration and mobile is the primary access mode for 90% of these internet users. Launch of mobile broadband/3G thus promises to make a huge impact to increase the internet penetration of the country to 20% by 2015. The introduction of mobile broadband networks is expected to positively impact the country’s socio-economic development especially by increasing the reach of D2C internet based services such as online shopping and online entertainment. Feature phones still dominate with 90% market share but as per recent study 30% of all new phones sold are smartphones. Local brand Symphony (using Chinese MTK handsets) dominate the market with 40% market share for feature phones with Nokia a distant second. The Smartphone market is dominated by Android with 90%+ market share followed by iOS. Samsung is the market leader for mid to high-end Android devices. The cheap Android device market is highly competitive with Symphony, Huawei, ZTE and Indian exports fighting for market share. On average, 5,00,000 clients transact Tk 1.4 billion through their mobile phones every day. In Bangladesh, 18 commercial banks have been licensed to offer mobile banking/mobile financial services including P2P payment, B2B to payment, mobile insurance and m-commerce services. Digital advertising is only 2% of the total advertising spend in the country. This is not a surprise given only 6% has access to internet. However, what is more important is that 90% of them are accessing internet via mobile only. Bangladesh is an untapped and unexplored market for online/mobile advertising and the average user is receptive to advertising messages over mobile internet. As per data from leading ad networks, the current monthly reach for Bangladesh is close to 500 million impressions and this will grow exponentially within the first year of 3G launch. Mobile advertising will be a significant revenue stream for mobile operators and digital agencies in coming years. Credit card penetration is less than 1% in Bangladesh and thus operator billing and mobile banking is the only two billing mechanism that can offer scale for mobile value added service providers. However, revenue sharing with operators can be a challenge as most mobile operators demand 60% of the revenue share. 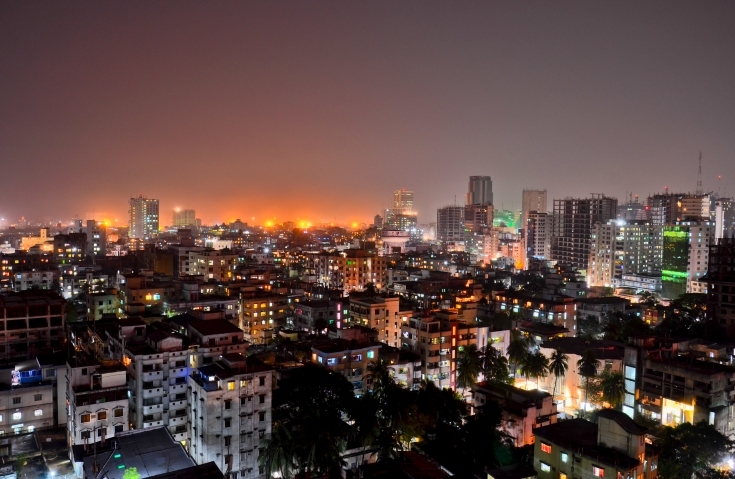 Bangladesh allows 100% foreign ownership of companies and five year tax holidays for new technology startups. There are currently only about 20 mobile VAS companies engaged in the Bangladesh market and there is room for many more as the mobile VAS sector is contributing only 3% of the total mobile operator’s business. There are also considerable opportunities for new players and investment in mobile advertising, mobile application development and mobile commerce. Bangladesh is a low income country where mobile operator ARPU is only about USD1.2/month. It should come as no surprise that it is a price sensitive market. A full song download is only USD 0.10 and a game download is USD 0.40. Service charge for a P2P mobile money transfer is only about USD 0.06. Mobile service providers looking to monetize their services in Bangladesh must think of low price points and recurring short term billing to be effective in the market. Very interesting article, I still have my problems to understand the business case in the long run behind mobile industry in your country? I thought the rules are, if the price is one time low, it will never rise up again?!? I think the future will be profits from VAS. With 3G already in, more and more people will be connecting to the internet and so operators will be able to provide a host of new services. Video streaming and online TV will probably become very big in a country where electricity is an issue and lack of entertainment mediums. Mobile data will also become more and more profitable, as more people start using smartphones. That too can become a steady stream of profits for telcos. Finally, I think the biggest advantage is such a large population in such a small location. This provides a very large revenue even if the profit margins are low.